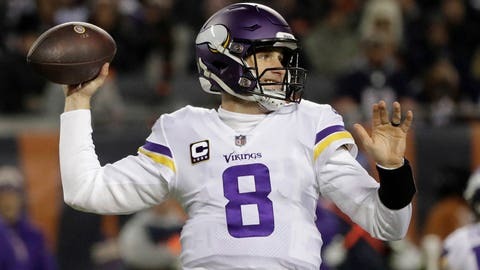 EAGAN, Minn. — The arrival of Kirk Cousins has provided the Minnesota Vikings the stability at quarterback they’ve sought for years, and the recipient of that unprecedented $84 million fully guaranteed contract has helped take their passing attack to a higher level. Still, at the 10-game mark of his debut season, Cousins and the Vikings offense remain a work in progress. Their two lowest yardage totals of the year have come in each of the past two games, they’ve gained fewer rushing yards than every team in the NFL but one, and their 16 turnovers are the fourth most in the league. 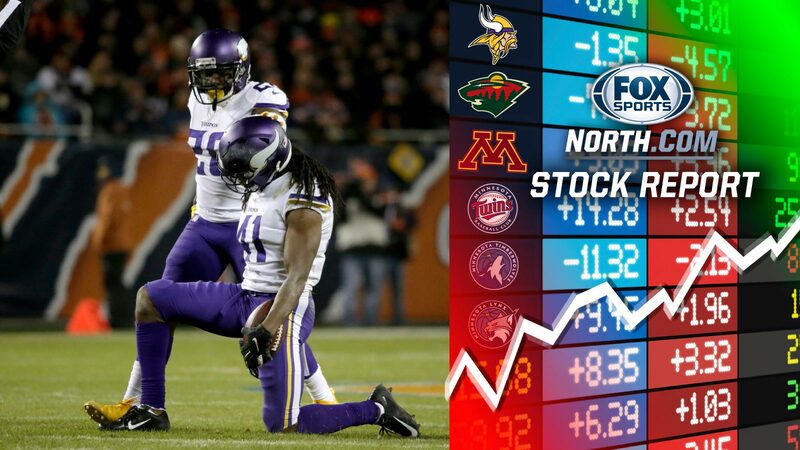 After falling at first-place Chicago on Sunday night, they’re 1½ games behind the Bears in the NFC North . “I’d like to think I’ll be a better quarterback come this Sunday and the rest of the season,” Cousins said, looking ahead to the game against the Green Bay Packers. In the six games left for Minnesota (5-4-1), only one opposing defense, the Bears, is currently in the top 10 in the NFL in fewest yards allowed. Now’s the time for the Vikings to consistently produce enough points to complement the vaunted defense that’s back in form after some earlier trouble. With a new quarterback in Cousins and a new coordinator in John DeFilippo, there were bound to be some bumps on the road to offensive rhythm. This midseason regression, triggered largely by fumbles and interceptions, has arisen past the point of chalking it up to transitional challenges. The timing of these struggles has appeared especially concerning in the context of the rest of the league, in a week when the Los Angeles Rams beat the Kansas City Chiefs 54-51 and the New Orleans Saints scored at least 45 points for the third straight game . Those are the teams with the three best records in the league, raising the question about whether this team can truly be considered a Super Bowl contender, let alone return to the NFC championship game. Coach Mike Zimmer, without prompting, wondered aloud this week whether DeFilippo and the Vikings were calling too complicated of a game plan. “I don’t know if learning to play together is quite the thing. We do have a lot of guys going in different spots. It might be … a little too much volume,” Zimmer said. Certainly, the offensive line is a major part of this equation, with not only more pressure allowed on Cousins than desired, but a concerning amount of running plays stopped at the line of scrimmage or in the backfield. Murray and Cook, who lost a fumble at the Bears 14-yard line on the second possession in one of the most crucial mistakes of that game, had no room to run in the first three quarters before the Vikings entered must-pass mode in an attempt to catch up. The hamstring injury that kept Cook out of five games earlier this season was a significant blow to the offense, but even when he’s been in action the Vikings have also been unable to get screen passes going the way they often did last year. As dominant as Adam Thielen and Stefon Diggs have been down the field, there’s simply an element or two that’s been lacking from this group overall in most of the games this season. Of course, the story of a team’s success can start and end with turnovers, which have proven to be a consistent problem for Cousins. Though miscommunications with receivers, whiffs by offensive linemen and shaky handoffs with running backs have factored in, Cousins has been charged with 13 of the 16 turnovers. The play that essentially sealed the victory for the Bears was an interception return for a touchdown by Eddie Jackson in the fourth quarter .